Despite his last blog post saying that he thought he was “done”, Bill’s still giving to us all from his wisdom and experience. 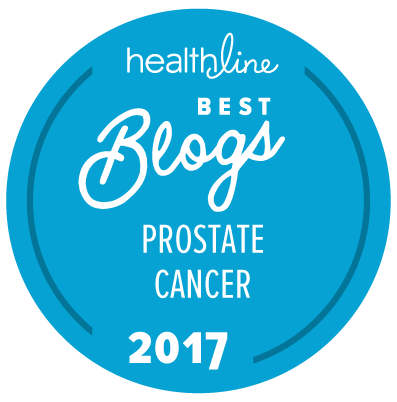 He, and we, hope it will be helpful to all those battling late stage prostate cancer. Click here for earlier parts if you missed them. So while I thought my blogging was over, I did mention the use of cyclophospahamide (Cytoxan) in my last post. Seven months later and I am still alive. I had a pretty good PSA response to the Cytoxan with a nadir of 132 from a high of 235. PSA has been bouncing around lately. I had some scans in June which were a mixed bag with some progression and some improvement. The side effects from the oral low dose Cytoxan are not too bad. I find it hard to distinguish what is left over from prior treatments, from disease progression, or from current drugs. My oncologist tells me I look great. I don’t feel great but I can still get around. All in all, the Cytoxan seems to have helped me stabilize my disease. I found a couple of very small Phase II studies that seem to indicate it can help some men. Certainly not a cure or a replacement for better treatments, but if you are at the end of available treatments or you are not a candidate for docetaxel (Taxotere) or cabazitaxel (Jevtana), it might be worth looking into with your oncologist. I’m glad to see you continuing on your blog. I wish that I’d started a blog myself when I was diagnosed. You still have a lot of valuable information to help others, and with your perseverence and tenacity, you are an inspiration to many. I hope that you’ll keep writing as long as you can, and that it’s a very long time to come. Wonder if Bill ever tried DES. It sure works for me. I for one am glad you are still standing. You are an awesome inspiration and your blogs have made a difference for many of us suffering from this insidious disease. Bill’s epic battle against prostate cancer, as chronicled in his enlightening writings, have both inspired and amazed me. We speak of the courage of pro athletes: drain their supra normal testosterone to ADT levels and have them attempt (and finish!) a 15-hour Triathlon in the Miami heat as Bill did. … Now that’s courage! We can all learn what Bill knows: that cancer can’t be perceived as a curse, but a challenge to be battled. Just came across your latest post and wanted to add my voice to the chorus of cheers for your epic struggle that you have so graciously shared with us. This is a lonely journey at times and it is really important to hear from people like yourself who are much more seasoned travelers. Hope all is as well as could be expected.